Doesn’t it seem like everybody believes they could defeat President Trump if they were to run against him in 2020? And it’s not just legitimate Democratic politicians, but several Hollywood elites who believe it too. But you’ll die laughing when you hear the latest Trump-hating actor who believes he can defeat Trump. Alec Baldwin says he’s a thousand percent sure he could win against President Trump in 2020. Baldwin has made a comeback for himself ever since the 2016 campaign as Trump’s main impersonator on Saturday Night Live. As the 2020 race is beginning to take shape, Baldwin isn’t the only celebrity to toss their name around as possible challengers to Trump. Anti-Trump journalists like CNN’s Brian Stelter swooned when Oprah Winfrey accepted the Cecil B. DeMille Award and made what many in the media saw as a mission statement for the 2020 election. Winfrey considered it briefly, however as of now she says she is not interested. The biggest movie star in the world, Dwayne “The Rock” Johnson, has also been talking about running for the last year or so. When he hosted Saturday Night Live last season, they made a joke about him running in 2020 with Tom Hanks as his running mate. But you have to remember that The Rock’s desire to be President only comes up when he’s promoting a new movie, which is several times a year. When doing the press junkets, the reporters hound him about running against Trump and feed his ego that he could do it. It could be possible he’s seriously considering it, but probably not. After Donald Trump won the election, celebrities all began to wonder if they could follow in his footsteps. They figured since he was just a reality TV show host, anyone could be President. But Trump campaigned on a substantive agenda. And he has been warning about bad trade deals and foreign countries ripping America off in the global economy since the 1980s. He actually had a well-developed philosophy about America’s role in the world. 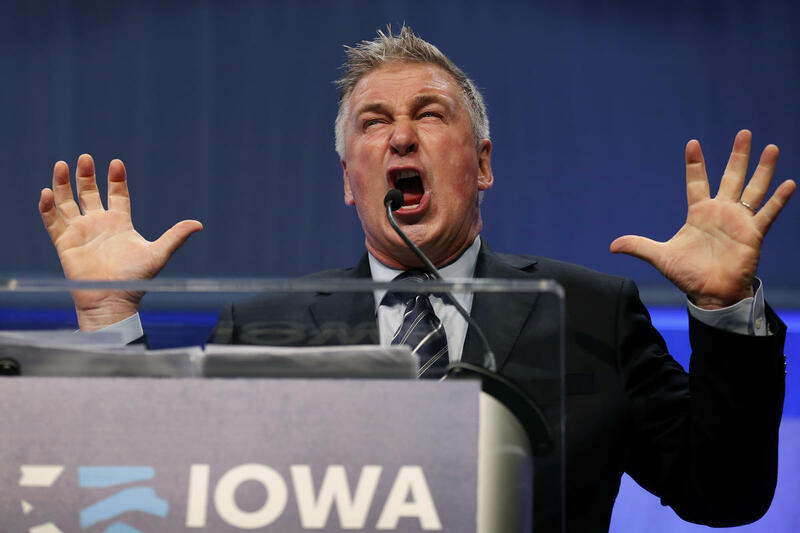 Loons like Baldwin who think that because they play politicians on sketch comedy shows are in a for a rude awakening if they actually do challenge Trump in 2020.